Let the professionals at Averie Construction handle all your chimney repair needs. Get your fireplace working properly to stay warm and cozy this winter. A fireplace without a working chimney is a disaster waiting to happen. If your chimney is in need of repairs, you can trust the certified professionals at Averie Construction to get things back in shape. With years of experience, no chimney is too damaged for our skilled team. If you aren’t sure where to start with chimney repair, save yourself the headache and give Averie Construction a call. Our team is made up of licensed masons who can efficiently and safely handle the repair of your chimney. A well maintained chimney can keep your home warm for years, but one that is crumbling or is otherwise unsafe puts you at risk for fires and other property damage. If you don’t know the first thing about chimney repair, any work that you do could increase the damage, adding to the repair bill. By trusting the professionals at Averie Construction to take care of any repairs, your chimney can continue to work as it should well into the future. If the mortar that joins the bricks together—or the bricks themselves—is starting to crumble, it’s time to give us a call. Brick has a long lifespan, but still needs some repairs now and then. Damage to the wall near the chimney. If the wallpaper or paint next to the chimney is starting to appear damaged, it’s an indicator of a buildup of moisture inside the chimney. The damper is the mechanism that allows you to open and close the chimney. If it starts to rust, it’s another sign of excess moisture. Moisture can create cracks, which can lead to an inability to regulate heat. This can lead to a house fire, so it’s not something to take lightly. 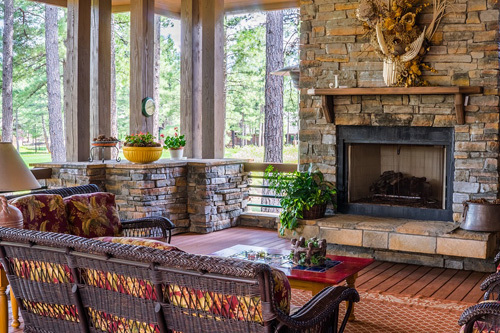 A fully functioning chimney is a must for any homeowner with a fireplace. If yours is displaying any of the above qualities, or if you suspect there’s something wrong but can’t quite place your finger on what it may be, we encourage you to get in touch with us today. By catching problems early on, you can save money and prevent any future issues. Give us a call today to set up a consultation with one of our highly skilled technicians. Your source for Local, Professional,Chimney Repair Services.